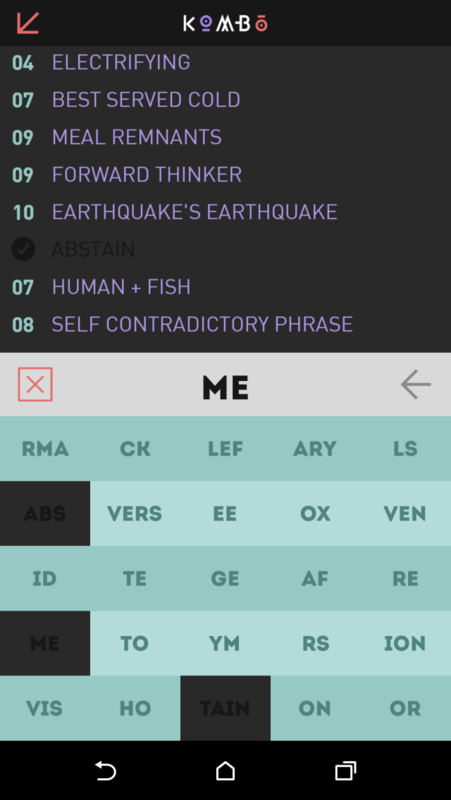 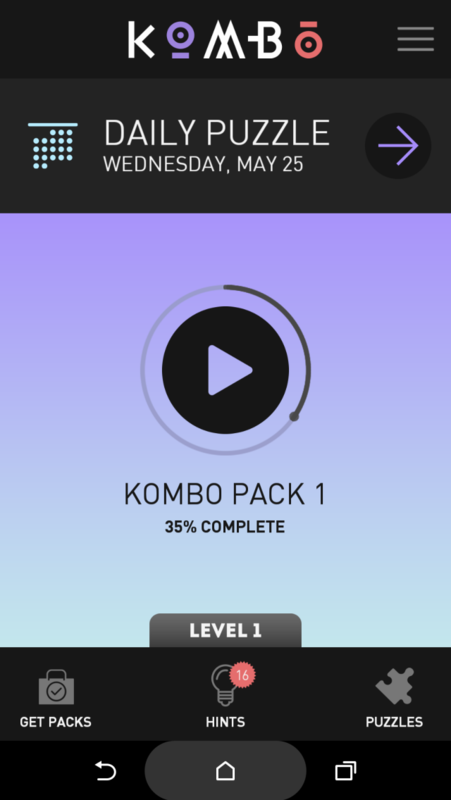 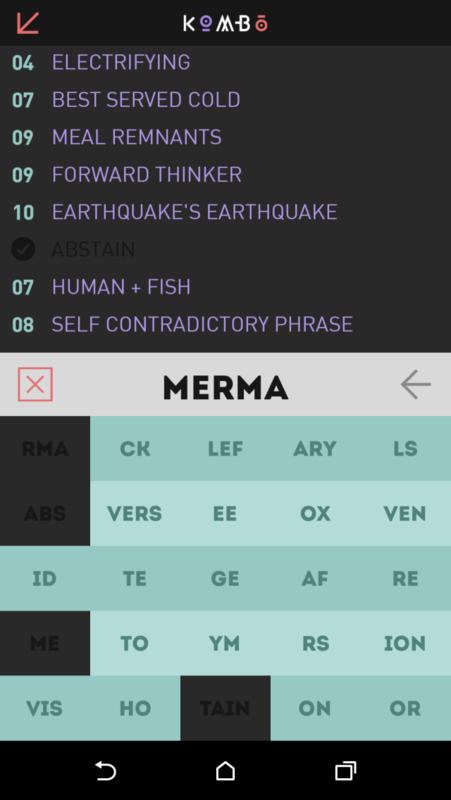 KOMBO is a fun word trivia game where you're given clues and the length of the answers, and the answers are broken up into separate tiles. 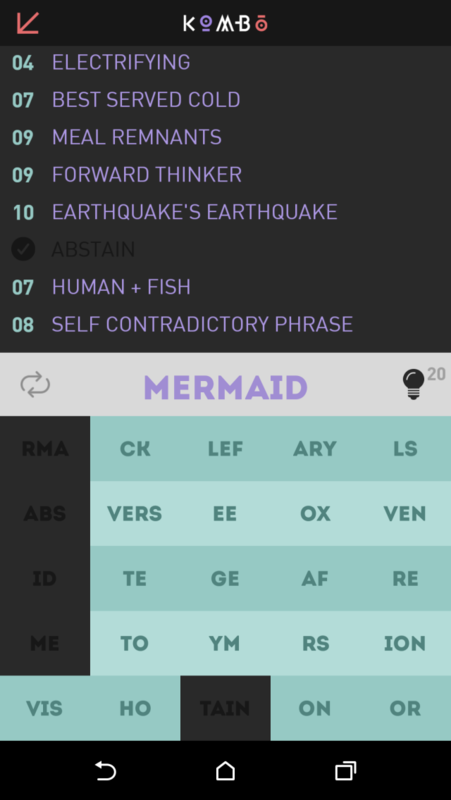 Each level has 8 clues to be solved. 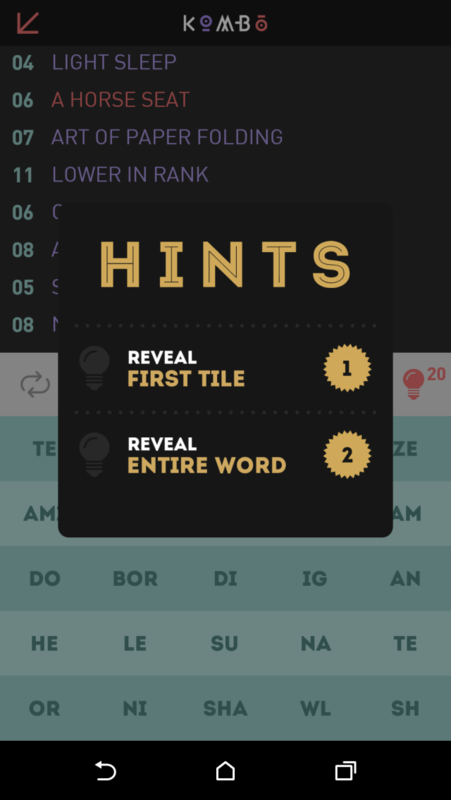 If you love word puzzles, crosswords, or anagrams then this game is for you!